When I first thought about teaching here at the seminary in Slovakia I was thinking of teaching only. My goal was to help the church in Slovakia by training up the next generation of church leaders. Very quickly I found out that there’s more to being a professor at the university level than teaching. Research is just as important an aspect of the professor’s job description as the teaching aspect. Here are a couple of reasons why. Not to get the cart before the horse, but let’s start with the more pressing, ‘existential’ reason to publish. At the university level, professors are expected to be people who are at the forefront of their field. You demonstrate that by putting putting the fruit of your research out there in the form of articles or books and letting others in the same field critique them. So when I talk about publishing I’m talking about publishing ideas for other ‘experts’ in the field of (in my case) Genesis. In other words, by publishing, a scholar demonstrates his or her ability to advance the field of knowledge that they work in. It’s important to remember that Universities do two things, not just one. First of all they prepare students for their future careers as teachers, engineers, mathematicians, etc. But secondly, they do important research that helps us better understand the world around us. The idea behind accreditation is to make sure that every college or university is doing both its jobs–teaching and research. So when they come around to check up on accreditation every few years, one thing they want to know each person on the faculty has been publishing. If there isn’t enough being published from your faculty, that means your faculty isn’t good enough to be accredited. That means they’re not good enough to be teaching at the university level in their field. That means you can’t offer degrees. That means you cease to exist. When they say “publish or perish,” they’re not joking. I think the seminary is an important ministry of the church. If the seminary is to continue, then I must publish. But is that all there is to it? Do I publish just to please the slave masters of academia, in order that the ministry of the seminary can continue? No! I really believe that publishing is important in and of itself. Otherwise I wouldn’t do it. But that gets us to the second reason for publishing. The world we live in is changing all the time. The issues we face as a church are changing all the time. The easiest places to see that change today are in the areas of moral norms and science. How do we, as a church, react to developments of science in the areas of cloning, artificial intelligence, or stem cell research? How do we react to the changing norms of society with regard to our understanding of marriage and sexuality? I for one, am thankful for believers who are experts in science, psychology, christian ethics, and theology, who are able to help the church face those issues in ways that help us respond wisely to the changing world around us. Believe it or not, our understanding of the Bible is also changing. In the last one hundred years we’ve uncovered ancient cities, libraries, and texts that have opened up the ancient world to us in new ways. All of this new knowledge helps us to better understand Scripture. In the past, these archaeological finds have helped us to better understand the history and background of the ancient world. But it’s only in the last few decades that we’ve begun to gain a deeper understanding of the ancient worldview. Now we don’t just know that other cultures produced wisdom literature similar to Israel’s wisdom literature, but we’re beginning to understand why. We’re beginning to understand the view of the world that caused them to produce that literature. As a result, books like Proverbs and Ecclesiastes are not just interesting poetic books. We’re gaining a better understanding of how important they are for applying all of Scripture to our lives. One thing we haven’t recognized very well in the past is how ancient cultures (e.g. the Israelites) wrote history. They wrote history differently than we read it. Since we read history differently than they wrote it, that creates potential problems for our interpretation. 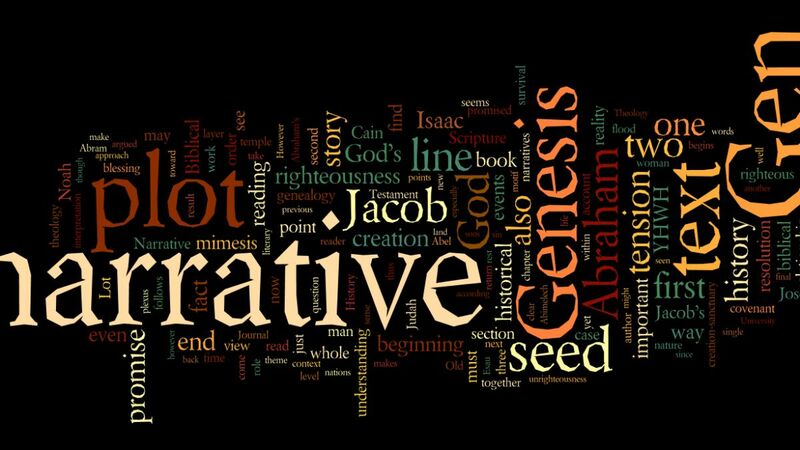 If we want to understand Genesis well, we need to learn to read Genesis like Moses wrote it. That’s what my dissertation on Genesis is all about. It’s about helping the church better understand God’s word so that we can live better according to his design. That’s the real reason I research (and publish). I want to help the church grow in its ability to understand God’s word and live that out in every day life.